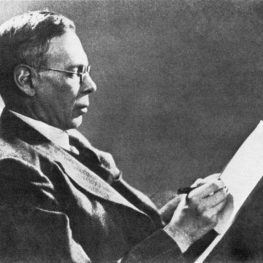 In the seventy-two years since the death of Charles Williams – poet, novelist, editor, member of the Inklings, Anglican Christian, and occult master magician – his fame has waxed and waned. His reputation, never huge except among a small but dedicated cult following for his seven “metaphysical thriller” novels, has been hindered by the layers of obscure references in his works, the uneasy cohabitation of occultism and mystical Christianity, and some restrictions placed on his literary estate. However, this second decade of the twentieth century has seen a resurgence of interest in and availability of works by and about “The Oddest Inkling.” His official biography, a brilliant, comprehensive, and lucid study by Grevel Lindop, was published by Oxford University Press in 2015. His works have entered the public domain in the U.K. Beautiful new editions of his novels have been released. Sørina Higgins has been involved in the publication of two of Williams’ works. The first is an edition of The Chapel of the Thorn (a play written by Williams in 1912 and published in 2012 with intro and notes by Higgins, a preface by Grevel Lindon, and an essay by David Llewellyn Dodds. The second is and a new edition of Taliessin Through Logres (Williams’s 1938 collection of Arthurian poems) with an intro by Higgins. A third important work is forthcoming: an essay collection edited by Sørina Higgins entitled The Inklings and King Arthur. Sørina Higgins and guest host Karl Persson will talk about these three works and other topics of interest related to Charles Williams, and will be delighted to answer audience members’ questions about this odd, magical, mystical writer. The generosity of anonymous donors support our Signum Symposia events. All donations toward our Symposia are applied to the Donor Appreciation Program. Join us on Thursday, June 15 at 4pm EDT for this event.